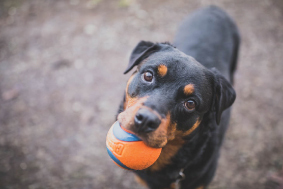 Specializing in behavior modification, aggression rehab, and on-and-off leash obedience, our training programs will transform your dog's behavior and give you the tools to live a happier, more balanced life together. she has done a complete 180 and is now obedient, relaxed, and calm." Scott is passionate, disciplined, and incredibly talented at what he does. He has given us the tools we need to be successful with our dog. "If you have a dog in need of training, don't waste your time looking around. This is your place." Meet a few of our clients and their dog(s). Read about their challenges before training, and their successes after completing one of Evolution Canine’s training programs. 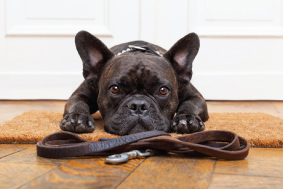 Evolution Canine offers a variety of board & train programs to meet your needs. We offer basic on and off leash obedience training, and specialize in aggression rehab and behavior modification. Scott has been transforming the behavior of canines and improving the lives of families with dogs since 2010. With hundreds of happy clients, Scott continues to expand his services offering customized training programs that meet the needs of you and your dog.